Dental patients who come for dental treatments in the country now have another reason to visit Romania: the largest SPA center in Europe opened its gates this month in Bucharest. 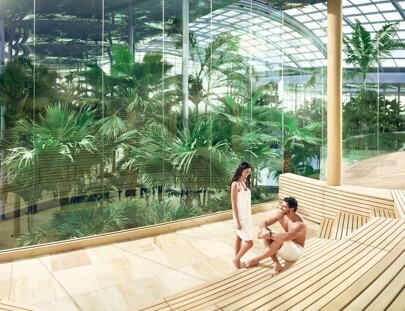 Therme is a daily escape to a tropical paradise, a center that offers a wide range of relaxation, wellness and entertainment options, all year round. The SPA center has three zones: Elysium, The Palm and Galaxy. The range of experiences is suited for everyone and Therme has a lot to offer. We'll take a look at each area to see what makes it unique and why you should take the time to visit it. 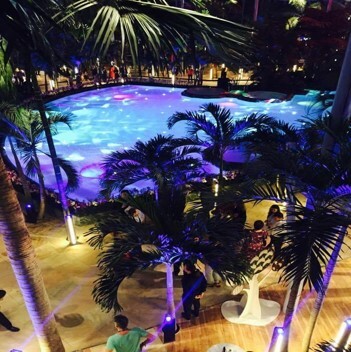 The Elysium zone has 6 themed saunas, one selenium and zinc relaxation pool with a pool-bar, a garden lounge area, massage rooms, hot showers and one á la carte restaurant. Visitors who choose to access this areas also have free access to the other two areas. The Himalaya Sauna offers a pleasing experience and it is more than just a sauna: it offers color therapy through the walls which change color in time. The Palm is a tropical relaxation area. The largest number of palm trees in the complex can be found here. 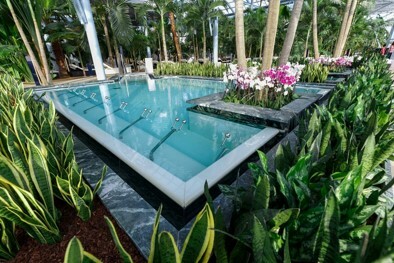 The main pool is both indoor and outdoor, with heated water and beautifully decorated with orchids. The area also has three aromatherapy pools, a lounge area and a rainforest sauna. The temperature of the water in the main pool has approximately 33 degree Celsius and visitors can also enjoy one of the hydromassage lounges in the pool. The Galaxy zone is suited for all ages: from children to adults who want to have fun in the water, regardless of the temperature outside. 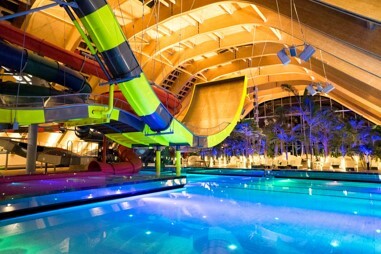 Therme has the largest wave pool in Bucharest which is beautifully surrounded by colorful lights. Visitors also have access to 16 water slides, which have a total length of 1,5 kilometres and the highest one of them is 12 metres tall. The water in the children's pools has approximately 36 degrees Celsius. Therme is a unique oasis that intertwines the benefits of natural thermal water with modern entertainment and relaxation. The water is extracted from more than 3.100 meters below Bucharest and it fuels an impressive number of pools and water slides. 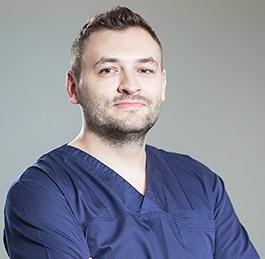 The concept is unique in Romania and in Europe. Therme is the largest center of this type in Europe and also an architectural marvel. Its design combines the beauty of modern architecture and engineering with natural elements and it is the only one of this kind in the country. The largest palm tree area in Europe can be found here: more than 500 species of palm trees from six countries and one "Tree of Wisdom" – a sacred species of fig native to India. The largest SPA complex in Europe already attracted the world's attention: just two weeks after its inauguration, the New York Times called it the "Huge New Thermal Bath-And-Spa" and other international publications acknowledged its uniqueness. Each of the three areas has unique fees, according to a certain amount of time: 3,5 hours, 4,5 hours and 1 day. Special fees apply for students and seniors. Prices in the Galaxy zone start at 8.59 EUR (39 lei) lei and a one-day pass here is 11.90 EUR (54 lei) for adults. A one-day access to The Palm is 14.10 EUR (64 lei) for adults. The largest fee is for a one-day pass in the Elysium zone at 18.28 EUR (83 lei) per adult. An additional fee applies during the weekends and for periods of time that exceed the pre-set ones. Individuals can pay a fee to pass from one area to the other or they can rent bath towels and robes. Access within the areas and the locker space is made based on a bracelet. Therme is open from 9:30 to 23:30 Monday thru Thursday and from 8:00 to 01:AM Friday thru Sunday. 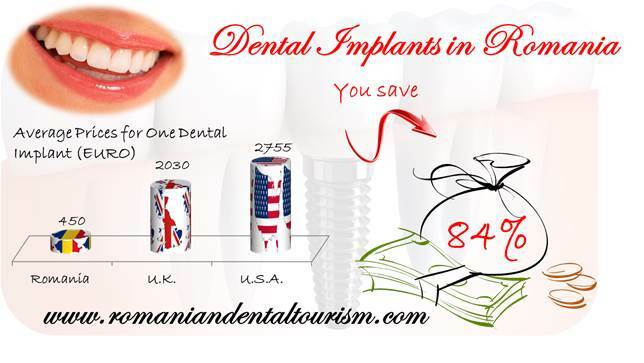 For more information about how to plan your dental trip in Romania or other options for tourists in Bucharest you can contact our dental clinic.